It’s not everyday that legendary singer-songwriters dedicate a piece of music to rotten tanner-saturated gourds, but the 2016 presidential election has ushered us to a new frontier. 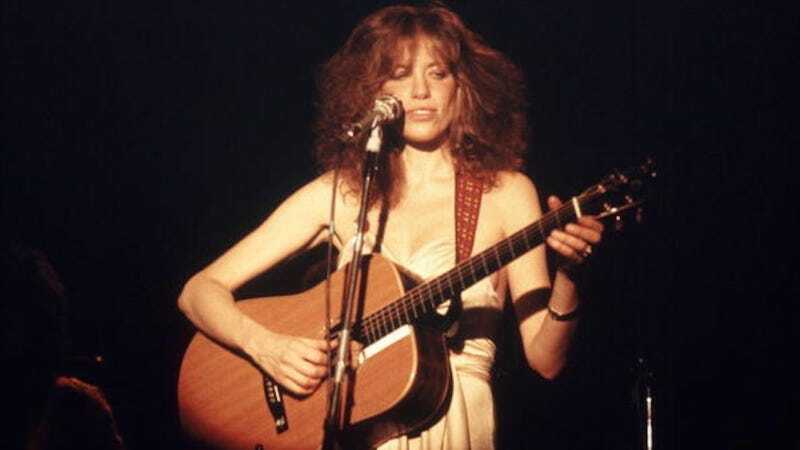 Carly Simon has donated—and ever so slightly tweaked—her 1972 hit “You’re So Vain” to serve as an anti-Trump anthem. As CNN reports, Simon has never previously permitted the song to be adopted for a political campaign, but desperate times, right? Patriotic Artists and Creatives, a super PAC supporting Hillary Clinton, paid for the accompanying video. For two and a half minutes, Simon’s jam provides a backdrop to footage of public figures condemning Trump and to an array of photos documenting his megalomaniacal antics through the years. The video was produced by Fred Goldring and Jon Vein. Goldring is also responsible for will.i.am’s 2008 “Yes We Can” video, created for Obama’s campaign. As for “You’re So Vain,” it remains unchanged but for one key lyric. Simon has adjusted the line “your scarf, it was apricot” and dubbed over it with “your face, it was apricot.” Well played, Carly.